The maestro of versatility is back! After his last smash hit single ‘Nach Sade Naal’, Jags Klimax is set to make a comeback; offering his forthcoming release ‘Hanji’. 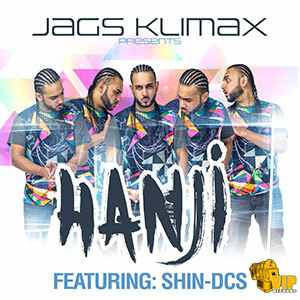 ‘Hanji’ is set to showcase what Klimax does best; fuse together a great vocal with addictive beats, sure to get any party started. “A lot of time was spent working on writing a vocal that would be perfect for a song entitled’ Hanji’. The song was written by respected song writer Gurmeet Billicho and as soon as I heard the finished project, I knew Shin was the man for this song. ‘Hanji’ is Out Now on VIP Records.. Be sure to get your legal copy!